It may sound like the plot from the latest science fiction blockbuster, but uploading your brain onto a computer to achieve immortality could soon become a reality. 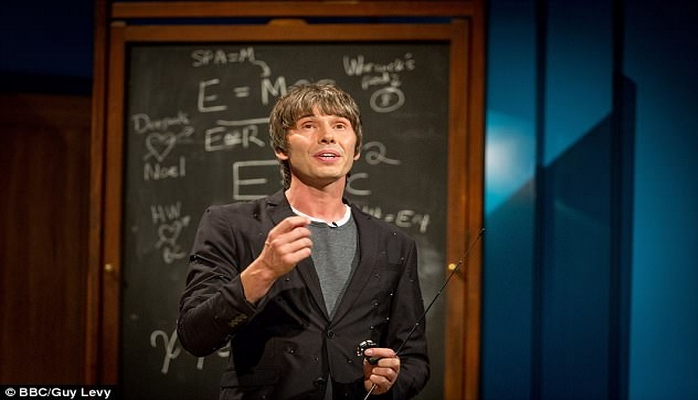 In a new interview, Professor Brian Cox said that the technique, known as 'technological singularity' could be available sooner than you think. Professor Cox spoke about the merging of humans with machines during an interview with The Sun Online. He said that he found 'no reason at all why you cannot simulate human intelligence', adding that according to quantum physics – an area that he specialises in – true artificial intelligence is definitely possible. Technological singularity is a technique that experts believe could be used in the future to convert someone's mind into digital data and 'upload' it into an immensely powerful computer. This would allow you to live in a world of unbounded virtual experiences and effectively achieve immortality. Professor Cox isn't alone in his ambitions. Last year, Ray Kurzweil, director of engineering at Google, predicted that in just over 30 years, humans will be able to upload their entire minds to computers and become digitally immortal. Mr Kurzweil also claimed that the biological parts of our body will be replaced with mechanical parts and this could happen as early as 2100. Elon Musk, CEO of Tesla and SpaceX has also had his say on technological singularity, claiming that the chance that we are not living in a computer simulation was only 'one in billions'. But not everyone is so convinced by the idea.